When those first two levels gave us more than intended. Long before the internet was a smorgasbord of free or near-as-free games, most of us only got something new for birthdays, Christmas, and the occasional convenient death of a family member around the launch of a new Ultima game. (Your mileage may vary on that last one). That made magazine coverdisks a valuable IV drip of new games, especially when we're talking floppy disks, 1.44MB that we had to hope would be something awesome, rather than some generic shareware dreck or a 'rolling demo', the non-interactive dry biscuit in the gaming selection box. Since these only came around every month or so, that meant squeezing as much value out of them as possible. Clicking on every hotspot in something like Sam and Max Hit the Road, or replaying the same Syndicate level a hundred times and making up new challenges. The best moments were when a demo proved more generous than its creators had intended. Carmageddon, for instance, offered a huge level restricted by a timer, which was patched out in about five picoseconds flat to become a completely open destruction derby I remember more fondly than the actual game itself. Others, however, didn’t require external help, just curiosity. I remember, for instance, a Legends of Valour demo—Legends of Valour being an RPG with aspirations to be a life simulator, where you'd live in a fantasy town as well as saving it—that locked things down tight with invisible walls and not allowing combat. Turned out it was possible to kill things anyway by throwing your knife at them instead of equipping it, and you could get into a strange minus-world of missing textures and labyrinthian levels. Who needs data to have a good time, anyway? 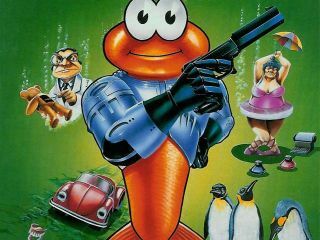 The king of these demos however was Robocod, the better known sequel to Amiga/ST platformer James Pond. Like Legends of Valor, the Robocod demo offered access to a small part of the world—the first two maps. Unlike it, however, the developers didn't actually remove the rest of the game, just added a quick lock to say that you weren't allowed into anything but the first couple of doors. Just one catch. They left in the 'access all levels' cheat code—a matter of collecting some items right at the start in the correct order. Sure enough, grab them and the entire game opened up, missing only the ending. All 10 or so seconds of it. That was an exciting discovery. And no, weirdly I never did buy the full thing.